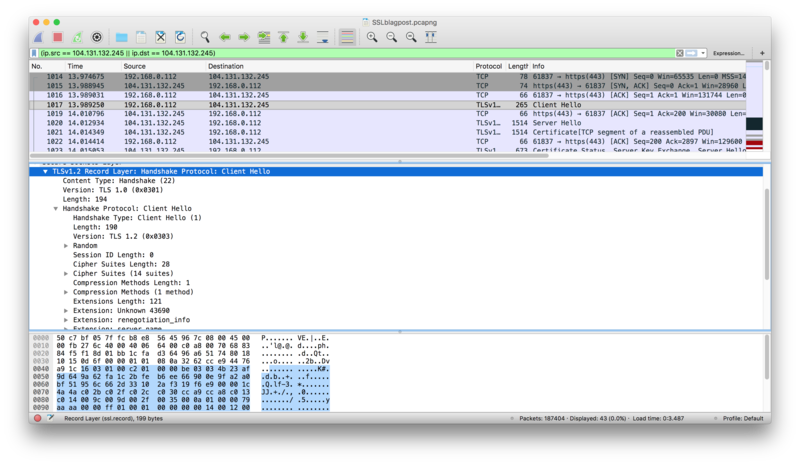 PART 1: Overview & intro to the TLS handshake! Okay so today I'm going over HTTPS and trying to re-re-remember things I've forgotten and stuff. I thought it might be fun to try to explain it at a higher-level-ish. HTTPS is simply "HTTP over TLS", i.e. "HTTP/TLS". It's the same ol' HTTP underneath, it's just wrapped in TLS which is like a protective layer on top that enables encrypted communication. SSL is a previous version of TLS, but many people refer to the two as the same thing. HTTP is a protocol, which describes how two computers can transfer data between each other (generally in a request-response format). You can wrap HTTP communication in TLS. While the data carrying HTTP messages can't be understood by eavesdroppers because of TLS, the two parties communicating (the client and the server) have the means to decrypt and understand each other. What's the difference between HTTP and HTTPS connections? 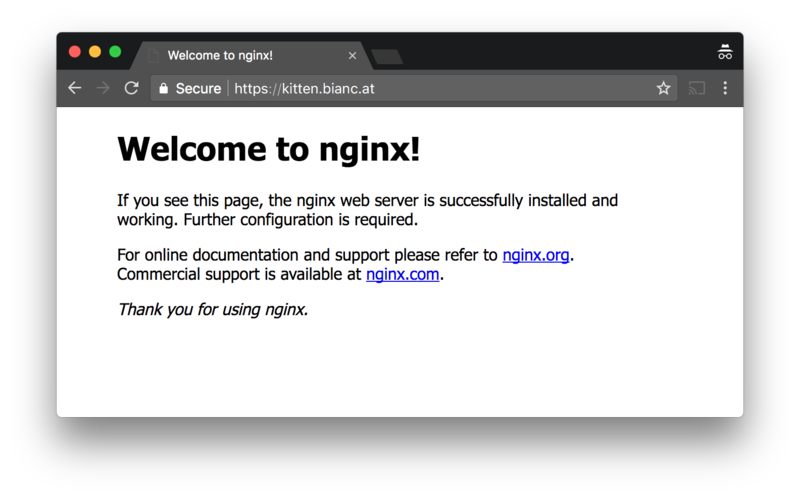 Browser sends HTTP request saying "please, GET kitten.bianc.at/ for me"
With how monitored the internet is nowadays (e.g. by work, ISP, your parents, the government?) people don't feel super comfortable with that, and there's decreasing use cases for non-encrypted communication. 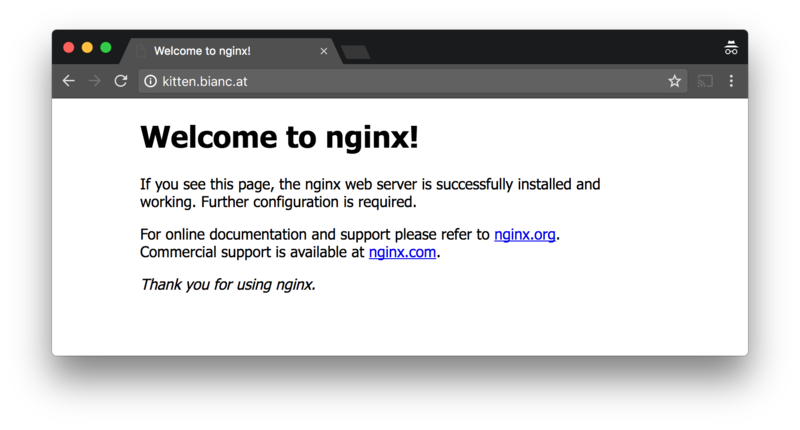 In this example it's just sending a plain HTML "Welcome to Nginx" page, but what if that had more important info, like someone's tax return or emo poetry (or a password even)? Thankfully, the webadmin of kitten.bianc.at realizes their folly, and uses letsencrypt to handily-dandily add TLS to their site. HTTPS is now enabled. See the "Secure" sign? 🔒 Chrome says everything is good and secure. Suddenly there's tons more talking before we even get any HTML from the server (I'm guessing the HTML being sent is the one highlighted in a gold box but since I can't read it I can't be 100% sure). However, unlike before, we can't read the messages, since they're now encrypted. Looking at the contents just shows nonsensical data. The browser sends a ClientHello message, which includes information about what kind of cipher suites it supports (i.e. ways it knows how to encrypt stuff), TLS version, etc. Just introducing itself. The server sends its ServerHello and similar information, and also a decision on which cipher suite to use. A peek into the ClientHello message and it's translation. This will be it's whole own post later (maybe) where we can go into it into more detail! This deserves a separate post. Anyway, the main idea is that now that the browser and the server have started talking, the server then sends a certificate, aka the "SSL Certificate". This certificate contains important information for validating identity, and also a public key. The client checks the certificate to see if it's trustworthy by checking the Certificate Authorities it trusts, or checking the legitimacy of "intermediate certificates", i.e. a Chain of Trust. If everything is all good, we move on to the third step. During the key exchange step, the parties need to create the pre-master secret (also called the pre-master key). This can be done in a couple of ways, the most common being the client generating a random sequence of a set length, and encrypting it under the server's public key which the client received earlier from the SSL Certificate. The client sends this encrypted key to the server2, and the server decrypts it with its private key. Therefore, if that encrypted key is intercepted during transmission, it can't be read unless the person intercepting (maybe some internet overseer) also has the server's private key. This is an example of asymmetric encryption. The pre-master key that both the parties can read is converted (using a math formula) into the master secret (or master key), which the browser and the server use to encrypt and decrypt their outgoing and incoming messages (respectively) for the rest of the session. This is an example of symmetric encryption. Once this step is completed, we're pretty much done establishing the secure connection and the rest of the messages are unreadable to outside parties (since they're encrypted). Woo! The keys are valid for the entire session. We're a good IoT lock with a clear conscience. Later we'll get more into the different technical bits and pieces. Mistakes? Grammar/spelling? Comments? You can always @ me on Twitter!